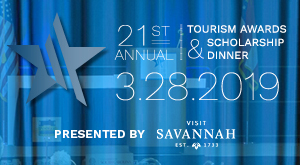 The Tourism Leadership Council is seeking submissions to determine the cover photo for the tenth edition of Savannah: A Southern Journey. Savannah: A Southern Journey is the premier guide to answer the question, “what do you do when you visit Savannah?” The beautiful coffee table book features breathtaking photography and valuable information for the guests. The book is placed in more than 6,000 hotel rooms in the Coastal Empire, reaching more than 4 million guests every year. Entries will be accepted through Sept. 4, 2018. Photos should depict a scene that embodies the spirit of Savannah. Finalists will be selected by a panel, and the winner will be selected by a public poll. The winning photo will grace the cover of this year’s edition; other submitted photos may appear in the pages of the book. Entrant must have ownership and all other legal rights to use of submitted photographs. All files must be in jpg or tif format, 300 dpi or higher, and must measure at least 8” x10”. The photograph must not, in the sole and unfettered discretion of the TLC, contain obscene, provocative, defamatory, sexually explicit, or otherwise objectionable or inappropriate content. Photographs deemed inappropriate will be disqualified. Entrants may enter as many photos as they would like that meet the previous criteria. Entries will be accepted until Sept. 4, 2018. Finalists will be selected by the TLC Board of Directors. The winning photo will be selected by a public online vote. The photo with the most votes will be the winner. Finalists are encouraged to promote voting for their entry on social media, or any other medium. 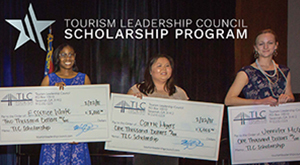 All submitted entries may be used by the Tourism Leadership Council royalty-free in perpetuity in printed publications, on the TLC website, in a slideshow, or in any other media. Entrant also retains his or her ownership and all other rights to future use of their photographs. Entering photos into this contest implies acceptance of these conditions. Rules may be changed by the TLC at any time. If you have any questions about the submission process, click here to contact us.